Reiki is a Japanese word that means universal life energy. All things are made of energy, the Yogi’s call it Prana, Chinese medicine and Kung Fu call it Chi, and modern science uses words like atomic energy and quantum physics to describe it. The simplest description is, Reiki moves us towards balance and wholeness by using a simple relaxation technique which activates the body’s natural healing response, relieves stress, and brings restoration. Help to process anger, sadness and other emotions. Your Reiki session will take place on a massage table or a comfortable floor mat. We'll work with different energetic practices that tailored to meet you where you are as you heal from physical, mental, emotional or energetic blockages. These often show up as stress, pain, feeling run down and unable to sleep well, chronic issues, unhealthy beliefs, and patterns toward yourself. Unraveling these knots makes space for a more peaceful, balanced, and calm way of living. Either they come in for a specific reason, such as an injury, a condition like chronic fatigue, or to work with a trauma. These people usually come in for one to four sessions. Others work with Reiki more regularly and enjoy a monthly or bi-monthly session relieve stress, deeply rejuvenate, and come back into balance. Yoga is a wonderful practice that works to bring balance first to the body and then to the mind. Reiki is an energetic healing practice that works with the mind and energy to also aid the body. Bringing the two together is a deeply restorative and healing practice. We build a personalized restorative yoga session for you based your specific areas for healing and growth, such as back pain, hip/shoulder issues, stress, PTSD, or what you may be recovering from. The session will have 4 to 6 supported poses in which you are fully restored while receiving a full Reiki session. Enjoy many of the benefits of Reiki Infused Restorative Yoga in an accessible way in a small group. Bringing the two practices of Reiki & Yoga together is a wonderful opportunity for healing, letting go, and rejuvenation. Class size is typically limited to 6-10 students, and you can look for upcoming sessions on our schedule. One of the most beautiful aspects of Reiki is how easy it is to begin the journey. There are several levels and modalities of Reiki, and we offer Reiki Level I, II, Master, Karuna, and Lightarian Reiki Trainings from time to time. Check our schedule for upcoming trainings, or contact us for future trainings or to schedule your own individual or small group training at our studio or your location of choice. Giving reiki as a gift for someone in your life is easy, just click below to choose a gift certificate. 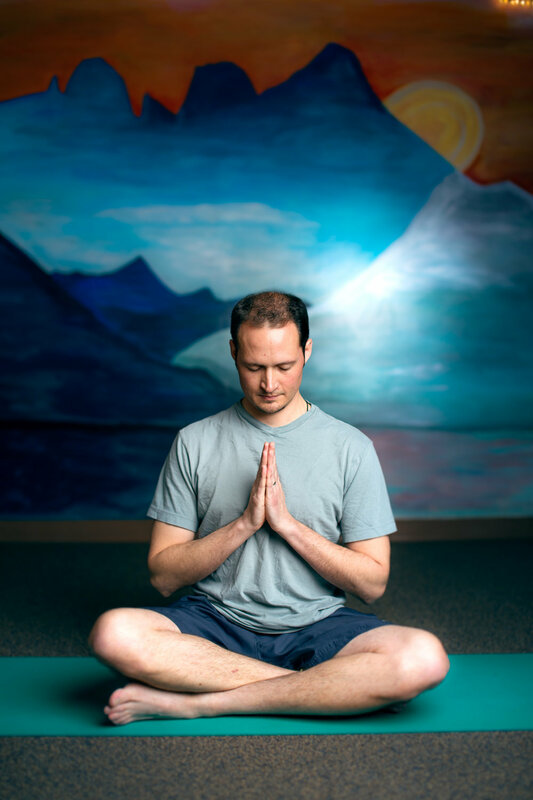 Adam Schifferli offers Reiki sessions at JoyWheel Yoga & Wellness in East Aurora, NY. Reiki is a powerful and simple way to bring peace to your mind, wellness to your body, and wholeness to your being.